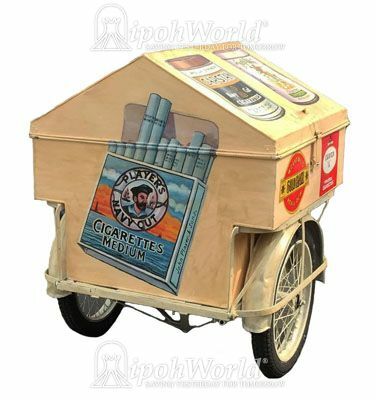 The photographs in this entry are those of a cigarette tricycle that was repainted as the original was rather badly damaged, we believe that this tricycle would have been in Malaya prior to the Second World War. This particular trike was part of the parade held in conjunction with the Grand Opening of the Ho Yan Hor museum in 2016. 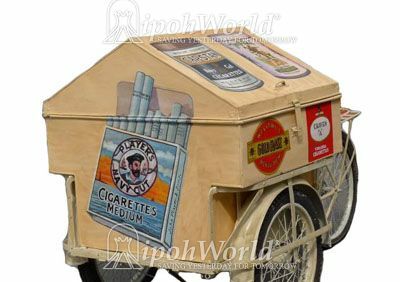 The brands painted on this tricycle includes Player's, Capstan, Craven A, Gold Flake and Rough Rider.